Using sun for baking, cooking and frying. We bake bread and cakes, cook potatoes, rice, beans. 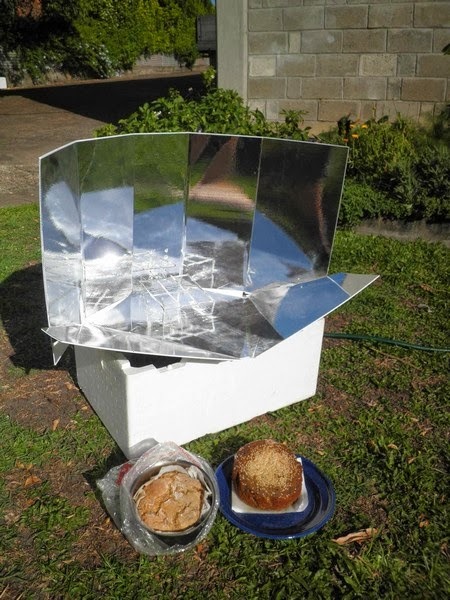 Solar oven is made of cor-flute with adhesive reflective foil. 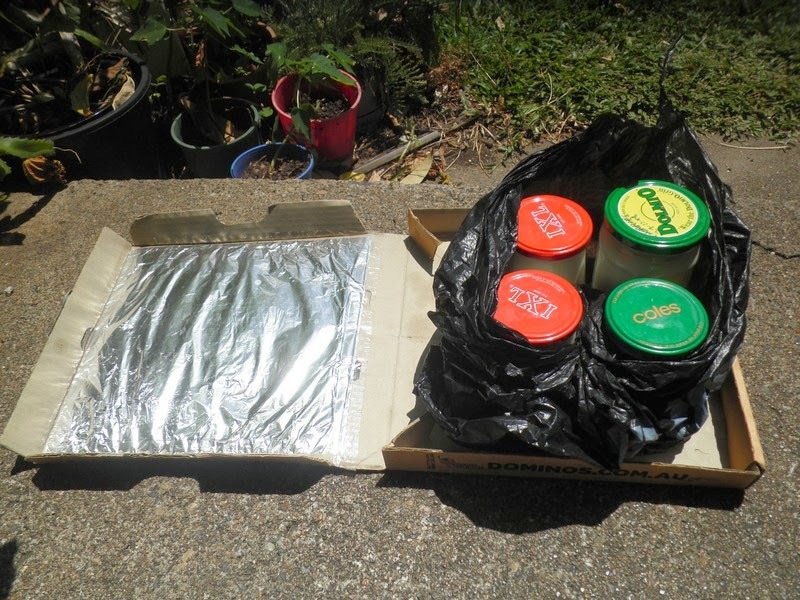 Food is cooked/baked in a black pot placed in an oven bag. Sun is in abundance in Australia. So why not use it? The most efficient conversion of sun energy is into thermal energy (over 50% efficiency) while conversion into electricity by PV solar collectors is just about 15%. 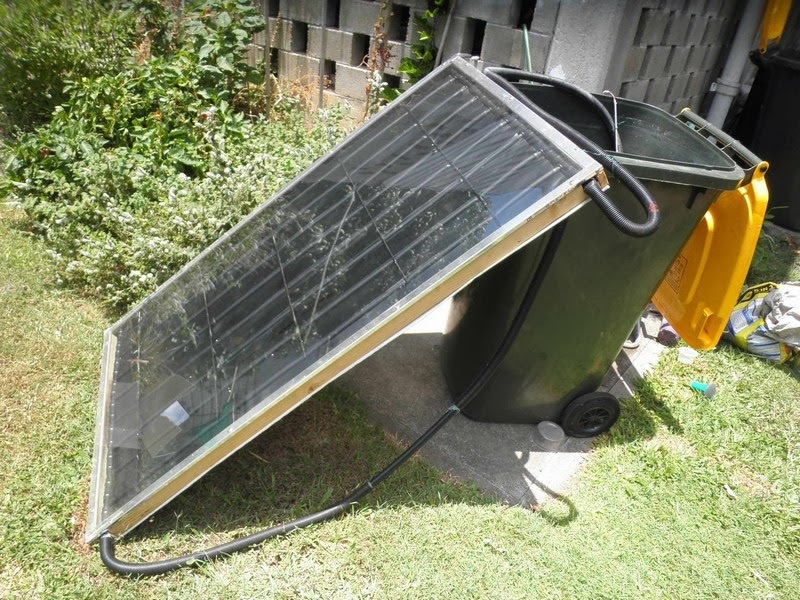 Why to pay thousands of dollars for a commercial solar hot water system if homemade system can cost less than $50. Baking bread and pizza on campfire has additional taste to it. We made our simple cob oven in 5 minutes and it works so well. Just few pieces of wood and it's baking.